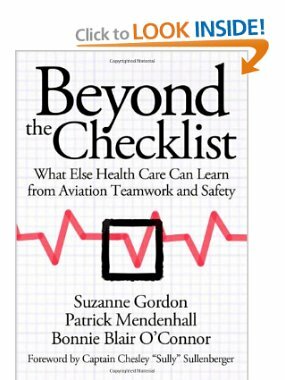 Beyond the Checklist has been reviewed as a book that “has the potential to revolutionize the structure of the healthcare system”. Watch this video highlight below to gain a better understanding about the opportunity that exists for healthcare providers to learn from the aviation industry. All of which will have direct implications for the medical simulation community! The U.S. healthcare system is now spending many millions of dollars to improve “patient safety” and “inter-professional practice.” Nevertheless, an estimated 100,000 patients still succumb to preventable medical errors or infections every year. How can health care providers reduce the terrible financial and human toll of medical errors and injuries that harm rather than heal? The authors provide case studies of three institutions that have successfully incorporated CRM-like principles into the fabric of their clinical culture by embracing practices that promote common patient safety knowledge and skills.They infuse this study with their own diverse experience and collaborative spirit: Patrick Mendenhall is a commercial airline pilot who teaches CRM; Suzanne Gordon is a nationally known health care journalist, training consultant, and speaker on issues related to nursing; and Bonnie Blair O’Connor is an ethnographer and medical educator who has spent more than two decades observing medical training and teamwork from the inside. Purchase Beyond the Checklist through Amazon today!